So much of our society and world is about striving to be perfect. We think we have to be perfect. But the truth is that God didn’t create us to be perfect. We are human…and we are sinners! I mean look at the world around us. This week especially I have been acutely aware of our sinfulness. Just turn on the news the last couple of days, riots breaking out in Baltimore. And I am saddened by what I see! My best friend’s husband is a highway patrolman. I know that RT would never act the way the policemen are acting in Baltimore. Yet I am not blind to the fact that we are all created to be both saints and sinners alike. 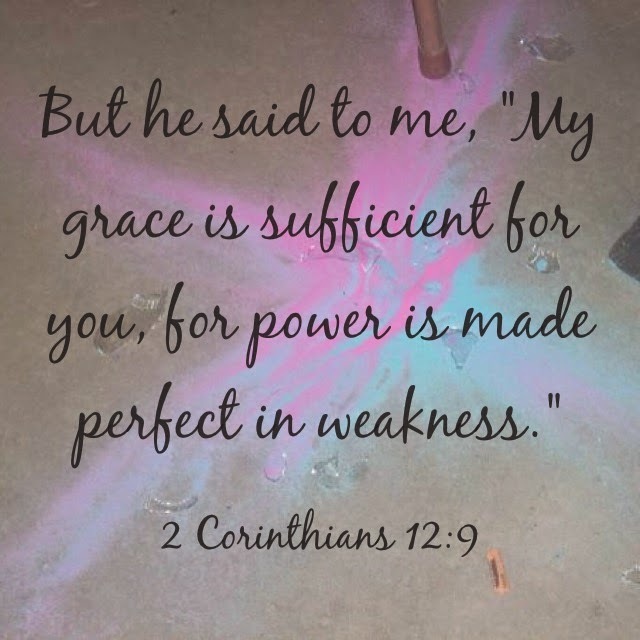 I am reminded of these words that we read in 2 Corinthians 12:9 “But he said to me, ‘My grace is sufficient for you, for power is made perfect in weakness.” In other words, it is through our brokenness and our imperfections that we are made more powerful. When I worked at a Bible camp for many summers, it was always awesome to watch how God often would use brokenness, imperfections to shine the light of God’s love on each other. One week in particular a friend and I were co-counselors together. Like many other weeks, this week had its challenging campers. One afternoon we were gathered in the craft shack to do an art project when one young girl in particular was testing our buttons. I don’t remember the particulars of that afternoon, how the sand art ended up on the floor, but it did. And in the midst of the spill, the sand art sprawled out onto the floor to create this beautiful cross. My co-counselor and I looked at each other and just smiled. A simple reminder of beauty out of brokenness. The truth is that it is so easy to get caught up in wanting to be perfect, yet when we truly take the time, God has this amazing way of showing us how God takes our brokenness and makes beautiful things. My mom is one of those examples for me! Even though she has lived most of my life with a mental illness, her story/our story has blessed many. In the deepest darkness of the depression or in the highest high of the mania, God has taken it and reminded me that God indeed takes our brokenness and makes it beautiful. My sister and I wouldn’t be who we are without this journey. There were many days growing up when I didn’t understand. But as a young woman, I have become more and more aware of how God takes our brokenness and makes beautiful things out of our brokenness. In fact, to be honest, my mom is one of the most beautiful women that I know….beauty out of her own brokenness! I think of my friends Jon and Renee and Renee’s first husband Ben. They wouldn’t have gone to Haiti if they knew the earthquake was going to happen and Ben was going to lose his life that day. Today Jon and Renee are married and have their first child. Again God took a horrific event and in the midst of it all, God wove together something incredibly beautiful. Like that spilled sand art cross, God takes all of our brokenness and often weaves it into something incredibly beautiful. We may not always see it at first. But take a closer look and the beauty out of the brokenness is quite evident! 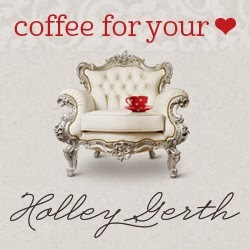 Holley and Coffee for your Heart, Jennifer and Tell His Story. This is a little longer post than usual but I needed to get the words out. Thanks for stopping by friends! Words are my love language…my love language to God. Ever since I was a little girl, I have always had a strong love of words. I spent many hours reading books or when I was really little being read to by my parents. But most of all, I was a kid who was content with pen and paper. My mom has told me that there were many times that I would sit at the kitchen table or on the floor of our living room and pour out my heart in words. All I needed was crayons/markers/pens/pencils and paper! Recently my friend Dana started an adventure at her church using art in its many creative forms. She started an event called 4th Fridays. Dana shared her introduction talk on her blog. I just listened to it and my heart is now undone..undone as I remember why I started writing stories, poetry, etc in the first place. I don’t write words to be recognized for them (Don’t get me wrong, it is nice to be recognized for them but that is not the most important), but to remember where I come from; to remember that I am rooted in Christ and God’s love for me. “For we are God’s handiwork, created in Christ Jesus to do good works, which God prepared in advance for us to do.”–Ephesians 2:10 (New International Version) In some translations, the word handiwork is sometimes translated as workmanship. Handiwork/workmanship comes from the Greek word “Poema” which comes from our English word “poem.” In the words of my friend Dana, we are God’s walking poetry. Ummm…I don’t know about you but that makes me think about my life, my artwork in a whole new perspective. 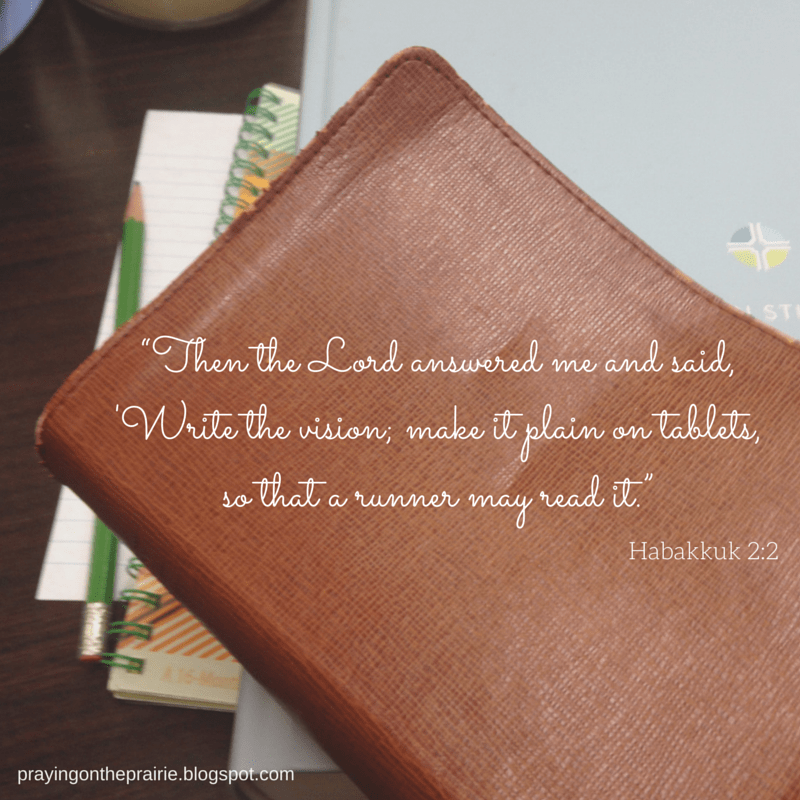 How do my words share God’s love? How do my words connect me to God and connect others to God as well? How do my words show that God is with us through the sadness and the joy, the tears and the sorrow, and so much more? How do my words/ our words impact those around us? There have been many times that I have lifted my words to God. I have lifted them through poetry when my mom was lying in an intensive care unit. I have lifted them to God when I didn’t understand why our family was struggling with the deep grief of a mental illness. I have lifted them to God as I have yearned for God to answer the desires of my heart. But lately, I have not truly taken the time to sit, listen, and let the words truly flow onto the paper or the page as I remember the vulnerability in sharing who I am through words that I have written to share. Working at a church, I write sermons, lead worship and Bible studies, teach Confirmation class etc. And I am pretty comfortable doing that, but ask me to share a poem or my heart and immediately I am filled with fear; deep fear. There is something so incredibly scary about sharing truly who I am with the rest of the world and especially with those that I serve. Yet God wants us to share our stories with each other. There is pure gift in knowing each other’s stories and knowing that we are not on this journey alone. I cannot tell you the number of times that God has placed someone in my path because I needed that person to hear my story OR I needed to hear their story. So, my friends, I am grasping onto that promise that if only one person reads this post and this poem, that is a-ok with me because that one person may just be Jesus. And knowing that he is seeing me and my words, I am throwing out my fear and sharing my own words with you. This poem was written about two years ago as I was thinking about my mom, her journey with a mental illness and how very difficult that can and has been for me especially. Like my friends have with their mommas. Yet she is still my momma. My momma has always been my shining star. Of the most kindest caring people in my life. To the degree that I hope and pray for. I want to talk to her about boys and love. To pick out my wedding dress someday. Will be more than a few minutes. Momma has taught me so much about life. Momma loves my sister and I UNCONDITIONALLY! Mmomma continually shows me that normal is relative. Of what it means to be who God created me to be! 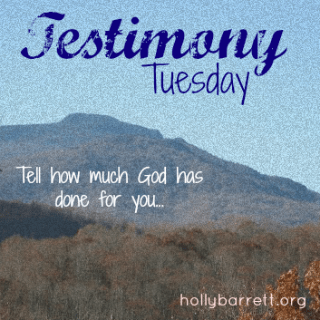 I am linking up with Anita at Inspire Me Monday, Holly at Testimony Tuesday and Kelly at the RaRa Linkup. (2) One of the quilters telling me I have pretty eyes. (3) Helping Miss R get around tonight after her eye surgery and getting to have lunch with her. (4) One last postcard from Japan from my friend Heather. They are now back in the States!! Woo Hoo!!! (5) A space heater to keep my office warm. (10) Sitting outside, talking with a colleague and watching her son play outside while we visited. (11) Being taken out for lunch by our office manager to celebrate my consecration anniversary. (12) Our Janitor sharpening the blade on my personal mower. (13) Hanging out at church and listening to the high school choir before they went on their choir trip. (14) Spending time with my camp friends AN and her hubby BN Andy friend MG. Camp friendships are so beautiful!! (15) S’mores and Much More Gala! So much fun!!! (16) Chatting with AN, BN and MG. We could have sat and chatted for hours. It’s been way too long!! (17) Running into an college professor in the Bismarck Target. (18) Some much needed “me” time; spending the night at a hotel, a lite bit of fun shopping, time with good friends and a road trip home. (19) Wartburg Theological Seminary announcing their new President. They couldn’t have picked a finer person. So excited for LJ and WTS!! (20) Pathways Outdoor Ministries announcing their new co-executive directors. So excited for them too!! (23) A great dinner put on by our Family Sunday School families for our seniors. I am linking up for the Five Minute Friday. The FMF is hosted by Kate Motaung on her blog Heading Home. Today’s prompt is “Hide.” Write for five minutes; unedited. When I was a teenager, my sister and I babysat for some of our favorite little girls. Their mom and her sister used to babysit for us and then we started babysitting for her kids when she had kids. I remember McKenzie coming to my dad’s house and often wanting to hide behind my sister and I. We couldn’t figure out why she was afraid to go downstairs in our basement. One day it dawned on us that she was afraid of the deer head that our dad had mounted on the wall. Isn’t it crazy how we want to hide when things are unfamiliar to us? Or how we hide because we don’t want to show that side of ourselves to those around us? As a little girl, I often would shed many tears because of the words that were slung at me; the names that I was called. But the tears always came! I couldn’t hide them from the people that were slinging names at me. In a way, I felt that they were winning because I couldn’t hide those words. But one of the biggest things that I hid from others was our family’s journey with a mental illness. It took me a very very long time before I brought our story out of hiding. But once I began sharing our story, many other stories came out of hiding too. There is so much power in those two words “me too!” Stories are meant to be shared. They are not meant to be hidden. They reveal a big part of who we are; of who God calls us to be. *Yet there are still times when it is hard for me to share my story. There are still tears that I want to hide. There are the tears that silently fall from my eyes when I am not sure that God has heard the desires of my heart. There are the tears that I secretly shed when I come home to an empty house and bed. There are the tears that I want to hide because I don’t want the world to see how vulnerable I am. Yet there is something so holy about no longer hiding our tears. There is something healing when we show our tears to each other. *That is where my five minutes stopped but I had to finish out my thought. 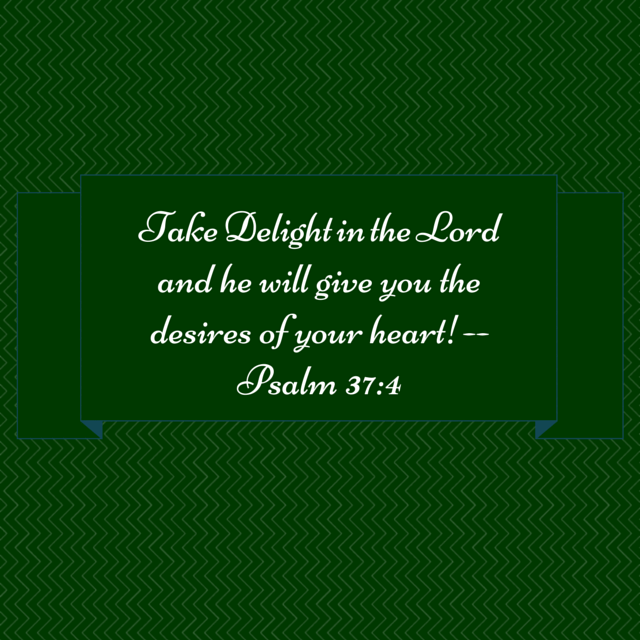 Oh my friends, remember yesterday when I posted about taking delight and how God sees us. I love these two and their little girl (and baby #2) more than words can say! JK and I hit it off from the moment we met each other. We may not talk every day or even every month but I know I can count on her. She is honest, loving and caring; a dear friend in my life! And her hubby is no different. They are such a team together and I love watching that play out in their lives. JK and CK have not led a perfect life. Like the rest of us, they too have had their own ups and downs. But they have always clung to each other and to their faith in God; one of the many things I love about them. When I look at their world/their life, I see a picture of a couple; of a family who delight in the Lord. And oh how thankful I am for that example in my life. They remind me that there is so much hope and promise when we delight in the Lord! I see that in their little girls smile. I see that in their love for each other. I see that in our friendship. Thank you my friends for that beautiful reminder!! Love you more than words can say!!! Last week my friend Anna blogged on the Desires of our Hearts over at the InCourage community. If you didn’t get a chance to read Anna’s post, here is the link: Waiting for the Desires of my Heart. From that day on, Anna’s words have continued to speak to my heart. I am a 36 year old woman who has always pictured her life ending much like the fairy tail endings of the movies and fairy tales. Yet I am no closer to that desire than I was then. My arms are still empty. I still come home to a dark empty house and an empty bed. Though I am choosing to trust in this one who indeed sees me and knows every desire of my heart; every desire of your heart. With my empty arms and an empty bed, it is pretty evident to me that I am still waiting on those desires. Yet the truth is that God still sees my empty arms and my empty bed. He knows exactly what those desires are but most especially God sees me and knows my heart! There is so much hope in being seen. I think of Mary who was seen and was chosen to be Jesus’ mother. I think of how Jesus chose Moses and Noah and so many others. They didn’t think they were called but God saw them and called them. God calls us too! That call comes in so many ways, but I think one of the ways we are called is to see each other; is to see each other’s gifts and share those gifts with the world. There is so much joy in being seen by others. Last Thursday I was so excited to open up my work email and see that Living Lutheran wanted permission to repost one of my blog posts on their website. It totally made my day. Someone had seen me…and thought that what I had to say was ENOUGH! 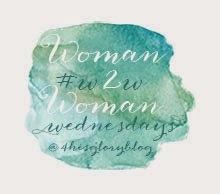 I am linking up with these awesome amazing writers today. Their words always speak to my heart! (1) YouthWorkers with some of my fave people. (3) A great turnout for our Practice Discipleship/Gathering training. (4) Getting to hug one of my fave kiddos. (5) A gorgeous day; 70 plus degree weather. (6) A sweet Tweet from a blogger friend. (7) A great night at Confirmation and FLY. (8) A friend sharing exciting good news. (11) Being asked by Living Lutheran if they can repost one of my blog posts. Totally made my day!! (12) Writing the devotions this week for the Camp of the Cross FB page. (14) A message from a friend. (15) Being asked a sweet question by a sweet lady. (16) Holding and meeting Baby Harvey. (17) Crystal Stine’s Creative Basics course. I’m learning so much!! (18) Moldiv: a new photo collage app for my phone. So much fun! I cannot get enough of it!! (19) Hearing my name called a “million” times as I taught the lesson for family SS today. (20) Several hugs today from my fave kiddos. (21) Meeting a new family and getting to hold one of their twins. (22) Getting some baby Briar cuddling time in. (23) E holding my hand as we walked to the usher so he could put his quarter in the offering plate. Also E and I playing hide n seek after worship. 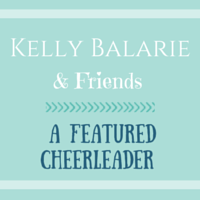 I am linking up for the Five Minute Friday. The FMF is hosted by Kate Motaung on her blog Heading Home. Today’s prompt is “Tomorrow.” Write for five minutes; unedited. “Tomorrow, Tomorrow, it’s only a day away!” So how many of you are singing along with me and little Miss Annie? I have alwtays loved that movie. And it also reminds me of my younger (I was going to say little but she doesn’t let me call her that anymore) sister Andrea because when she was little my mom, dad, and I called her Annie. She was/is our Annie! Tomorrow is such a beautiful gift and I am thinking about that especially today. My cousin’s son Jack’s 5th birthday is today. Jack and his sister Maia are spending it in heaven. They didn’t get as many tomorrows as we would have liked for them. My heart aches each and every day for my cousin. Yet I know that God holds our tomorrows in God’s hands. I am so thankful that God holds our tomorrows. So now I am going to lay my head upon my pillow, close my eyes, and wake to a new tomorrow. A tomorrow that God holds in God’s hands with all of its joys and all of its sorrows. I wander around this world; going through the motions, wondering if I am seen. Sometimes it feels as if a veil is over my eyes and no one can see me. I feel like a person vanishing into the background. These feelings are feelings that come in as the enemy tries to make me feel like I am not seen. But the truth is that God sees me and God sees you too friends. Lately God has been imprinting that promise into my heart and my soul. Just the other day, a fellow blogger tweeted to me and a few other bloggers “You are seen by the One who formed you.” It came in the midst of my day but it totally put a smile on my face. Those words bring such comfort. Then today I got an email as part of Jolene Underwood’s #RiseUpWriters and in her email, Jolene kept putting my name in the body of the email. Every time I read my name as she wrote about God calling us etc. Those words again reminded me that I am seen. Yes, there are indeed times when life gets in the way and we compare ourselves to those around us. Or let’s be honest….we compare ourselves to those around us MOST of the time, don’t we? We think we aren’t good enough. She is much prettier than I am. She keeps a cleaner house than I do. She has a bigger house than I do. Those words are words that hurt us as we think we are not seen. Those words put a shroud over the reality that we are seen by God. The truth is that we are precious sons and daughters of the one true king! But there are times when the enemy fights his way in and traps us in the lies that we arent important, that we aren’t seen. Yet it is during those times when God wants us to know that God sees us. God sees us most when we think he doesn’t see us at all. God knows every desires of our hearts. The promise that I am seen gives me such comfort. It is a promise that I want to cling to always and I want God to continue to speak to my heart and soul always reminding me that I am seen; always reminding you that you are seen too! We are all seen by the One who formed us. (1) Easter Monday; a day off from work, time to relax, etc. (3) A fellow blogger sending me a book. Thanks Ingrid! I’m excited to read it!! (13) Driving around and seeing kids riding bike, people working outside, etc as it is a sure sign that Spring has arrived. (14) Finally getting to finish watching Kara Tippett’s memorial service. (19) Getting some baby snuggles in. (20) Spending time with my friend AN. (21) Talking to my momma on the phone. (22) Two little girls showing me the ladybug they found. (23) One of my fave little girls taking my hand and taking me where she wanted me to go. (24) Another one of my fave girls sharing some M and Ms with me. For each color I picked, there was a question that I had to answer.